Do you have "housekeeping" experience? Would you like to work as a member of a Great Team? You are in Luck! 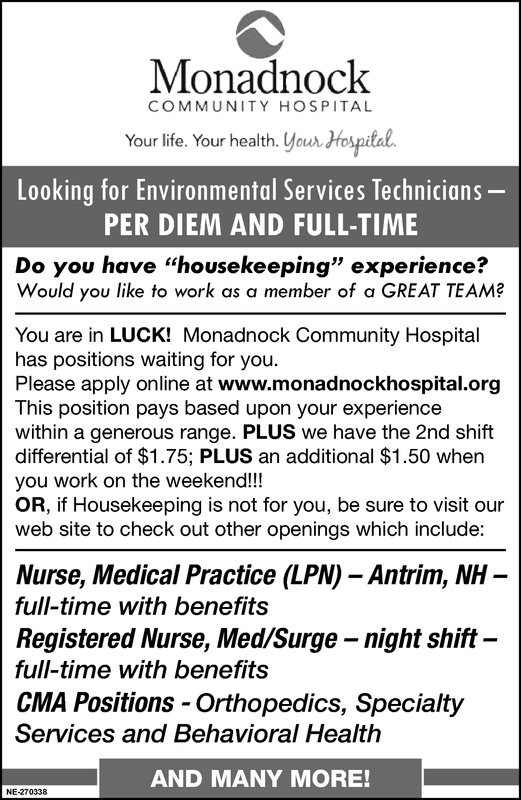 Monadnock Community Hospital has positions waiting for you. This position pays based upon your experience within a generous range. Plus we have the 2nd shift differential of $1.75; Plus an additional $1.50 when you work on the weekend!